These are not just your ordinary single strap shoes. 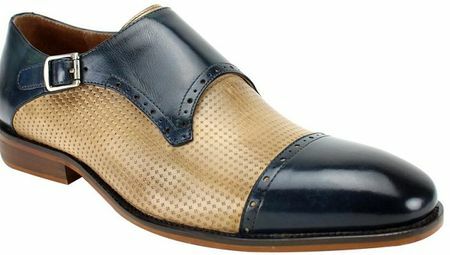 Steven Land only makes high quality shoes that are made of the finest quality leather. These blue/latte one strap cap toe shoes also come with a fancy design on the top of the shoes to add extra flair to these shoes.